This attractive flat back rain barrel allows you to collect warm, chlorine free rain water, which your plants will love. The rain barrel is made from durable, u.v. 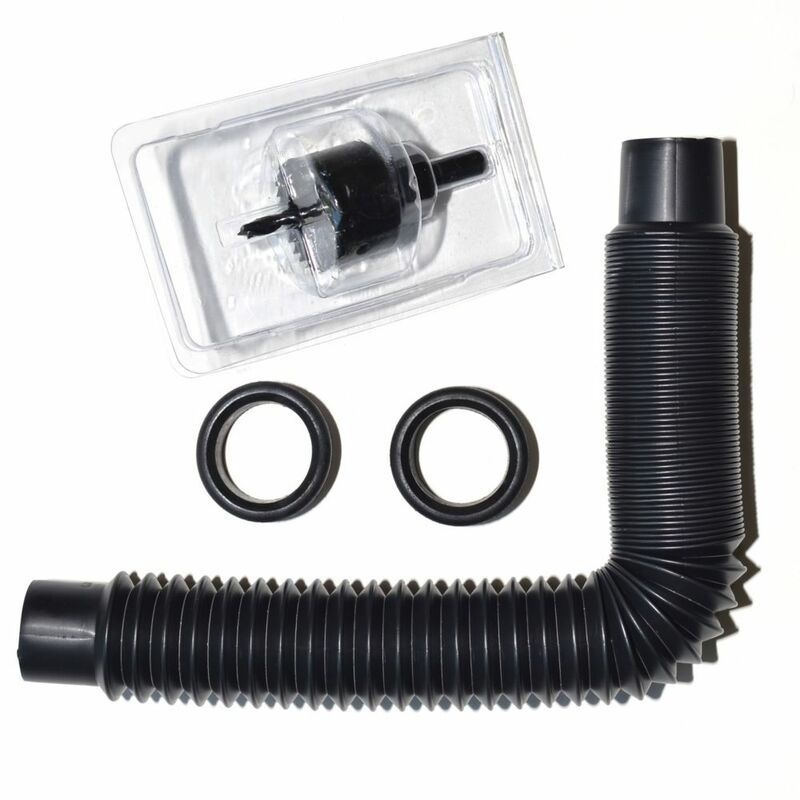 resistant plastic and includes an overflow hose, linking kit, 3 foot hose with shut off valve, hanging clip and clamps. Conserving water is not only good for the environment; it can also save you on your water bill. Rainstation Linking Kit is rated 4.3 out of 5 by 31. Rated 1 out of 5 by Michael from Did not need as you can fill two rain barrels... Did not need as you can fill two rain barrels from the Fiskars Rain Barrel Diverter Kit. one on each side. Rated 5 out of 5 by Greg from Watertight fit I have joined to standard garbage cans together using this kit. As I also installed a spigot for my hose I installed the linking kit at half way down the cans. No leaks. And now I have 1-1/2 x 70 L of rain water available . Rated 4 out of 5 by mainemanutah from Expensive but it works to link two rain barrels. ... Expensive but it works to link two rain barrels. When assembling, put a little lubricant on the gasket and the hose attaches much easier, particularly on the second barrel. It would be good if they sold a kit without the drill bit if you want to link another barrel. Rated 5 out of 5 by James from It met all my expectations and preforms fabulously. ... It met all my expectations and preforms fabulously. Rated 5 out of 5 by Marion from Works perfectly.... Works perfectly.